CHICAGO (WLS) -- Police are asking for the public's help to find a 15-year-old girl who has been missing from Chicago's Portage Park neighborhood since Monday. Jasliyne Colon was last seen at her home in the 4400-block of North Moody Avenue. Police said she has brown hair, brown eyes and a medium complexion. She is about 5 feet tall and weighs around 115 pounds. 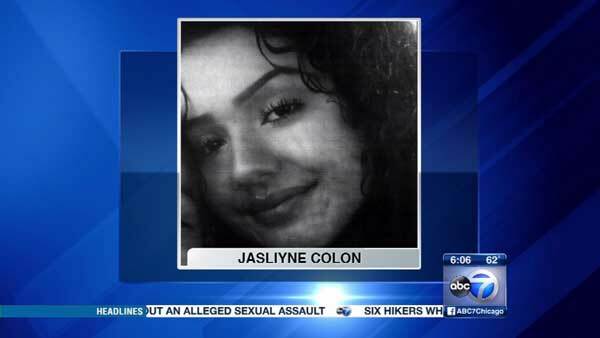 Anyone who sees Jasliyne should contact the Area North Special Victims Unit at (312) 744-8200.